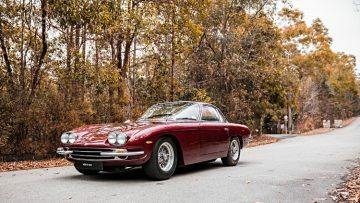 Paul McCartney’s 1967 Lamborghini 400 GT 2+2, Rod Stewart’s 1991 Lamborghini Diablo and Nick Mason’s 1974 Ferrari Dino 246 GT Spider are on offer at the Bonhams Goodwood Member’s Meeting sale in March 2018. 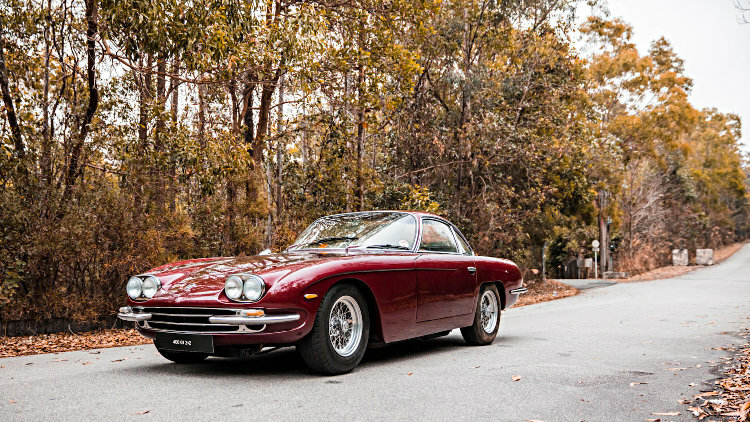 Three Italian sports cars originally owned by famous rock stars are among the highlights of the Bonhams Goodwood Members’ Meeting classic car auction on 18 March 2018 at Goodwood in England. The most valuable car is a 1967 Lamborghini 400 GT 2+2 (£400,000-500,000) that originally belonged to Beatle Paul McCartney. Rod Stewart’s 1991 Lamborghini Diablo (£120,000-140,000) was a Christmas present to himself. The 1974 Ferrari Dino 246 GT Spider (£375,000-425,000) is just one of the sport cars owned by Nick Mason, Pink Floyd’s drummer and renowned petrolhead. 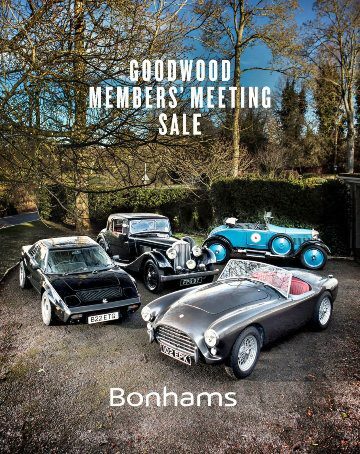 The annual Goodwood Members’ Meeting sale is the smallest of the three classic car auctions that Bonhams arrange each year in cooperation with Goodwood in Chichester in the south of England. The 2018 Goodwood Members’ Meeting auction takes place on 18 March. The other Goodwood auctions are the mid-July Festival of Speed Sale – for which the 1961 Aston Martin DB4GT Zagato ‘2 VEV’ has already been announced – and the Revival auction in September. The first is a 1967 Lamborghini 400 GT 2+2 (£400,000-500,000), which was originally owned by Beatles legend, Sir Paul McCartney. The stylish touring car was one of only 250 created, and one of only 4 said to have been imported in to the UK. It is capable of an impressive 167mph, thanks to its punchy V12 engine. McCartney acquired the Lamborghini in February 1968, when The Beatles were at the height of their popularity and working on projects such as their celebrated animated film, Yellow Submarine. The second rock star’s supercar is a 1991 Lamborghini Diablo (£120,000-140,000), which was originally owned by Sir Rod Stewart. Stewart is one of the best-selling musical artists of all time, having sold more than 100 million records worldwide, had six consecutive no. 1 albums and 6 UK no. 1 hits. Stewart reportedly bought the impressive supercar, capable of over 200 mph, as a Christmas present to himself in December 1991 following the success of his 16th studio album, Vagabond Heart, which reached Platinum status in 6 countries. The third is a 1974 Ferrari Dino 246 GT Spider (£375,000-425,000), which was originally owned by none other than renowned petrolhead and Pink Floyd drummer, Nick Mason. Mason has collected Ferraris and other supercars since legendary rock band Pink Floyd took off in the late 1960s. The Ferrari Dino is considered ‘a driver’s car par excellence,’ and would have been a welcome addition to Mason’s extensive collection. The Dino remains one of the most desirable mid-engined cars available, and this example was one of only 21 models ordered with flared wheel arches.